Simplicity reigns in this herbed oil – just oil and basil. The only modification, we like Omega-3 loaded olive oil for its light and delicate flavor. You can also use Extra Virgin Olive Oil here. Drizzle over vegetables, meat cuts or fish and enjoy. 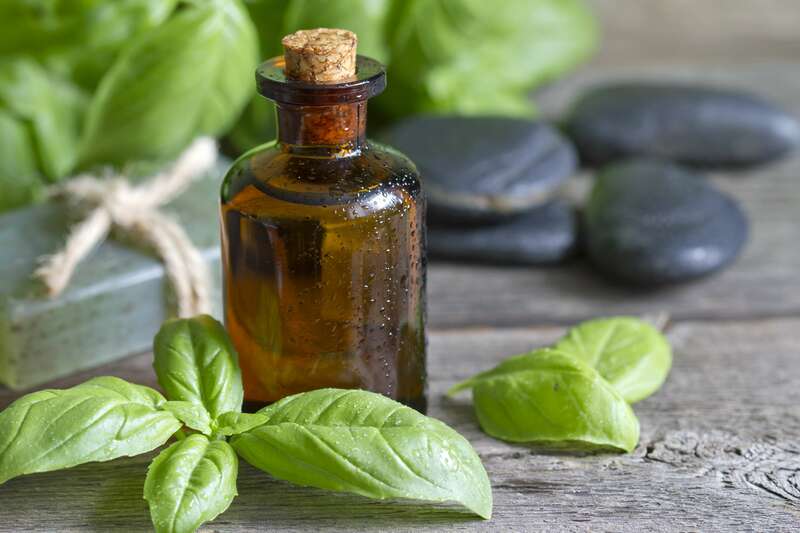 RecipeSavants.com Simplicity reigns in this herbed oil – just oil and basil. The only modification, we like Omega-3 loaded olive oil for its light and delicate flavor. You can also use Extra Virgin Olive Oil here. Drizzle over vegetables, meat cuts or fish and enjoy. Smart Recipes, American Recipes, Eggs,Grains Recipes, Recipes Eggs,Grains American Basil Oil PT10M Serves 8 Ingredients: 0.5 Cup Olive Oil 1 Bunch Fresh Basil Remove leaves from basil bunch. In a blender, add oil and basil leaves and pulse till a rough puree is formed. Transfer into an airtight container and close lid tightly. Keep aside for about 1 hour. Strain and serve.